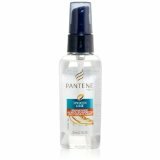 Pantene Pro-V Smooth Serum With Argan Oil From Morocco 1.7 Oz. Item Number. :B10117665.